The Synview modular multiview systems work together with the UTAH-400 Series Routers and the SC-4 control system to provide a fully integrated multiview display solution. 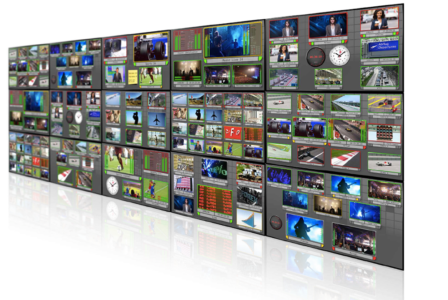 When it comes to speed and flexibility, there is nothing on the market to compare with the SynView, a powerful, modular multiviewer that can handle both 4K and any IP video format. And SynView’s unequalled low processing delay and start-up time makes it ideal for a wide range of applications, from the smallest to the largest, including fast response production monitor walls, high-resolution, high-source-count monitor walls, and OB van preview monitoring and shading.